It's on this Friday August 23, book three tickets for $65 with code! 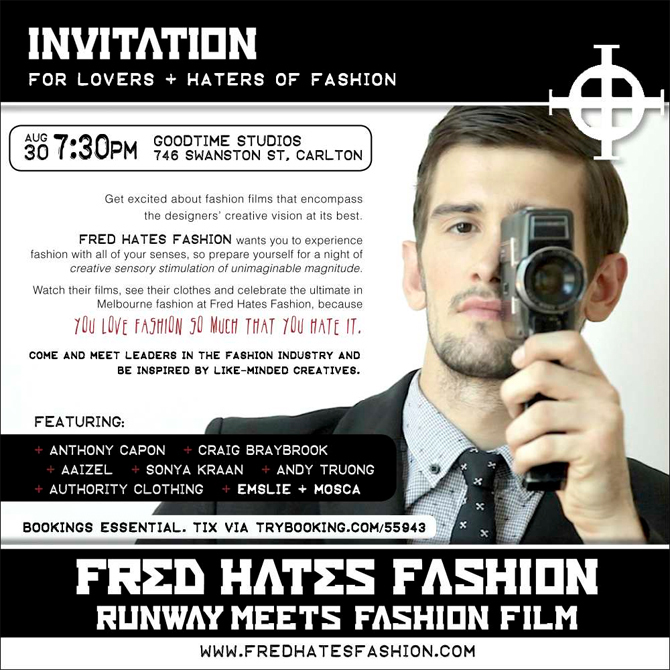 FRED HATES FASHION is a collaboration between Fashion Filmmaker, Hinny Tran and Graphic designer/Event manager Dani Boudville. It is an annual fashion event where runway meets fashion film. And it's on this week. 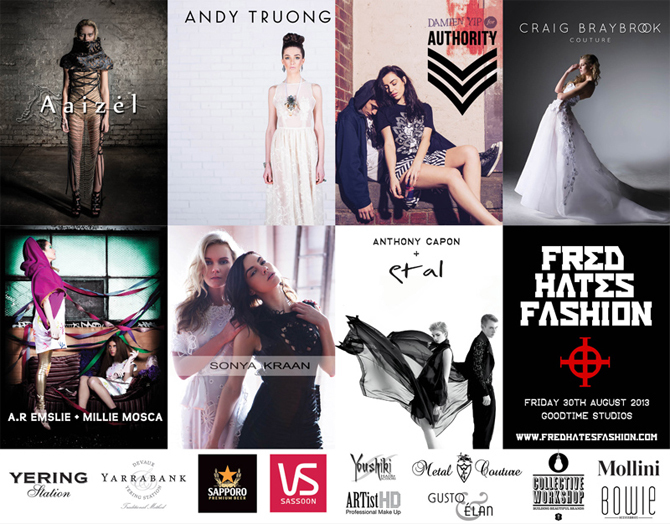 Featuring upcoming and established designers collaborating with special guest designers of the highest calibre. Get excited about fashion films that encompass the designers’ creative vision at its best, and bring back appreciation for high quality and exceptional craftsmanship. This years line up includes Anthony Capon, Andy Truong, Sonja Kraan, Christopher Skyner & Damien Yip, Aaizel, A.R. Emslie & Millie Mosca and Craig Braybrook. Be there when they present their couture and distinct ready-to-wear pieces. The designers have taken up the challenge of producing their own Fashion film for their collection and debut them at our show followed by a catwalk. It's going to be super fun. Remember to use the code FHF2013 to save on tickets, purchase 3 for $65. Use the code FHF2013 to save on tickets, purchase 3 for $65!